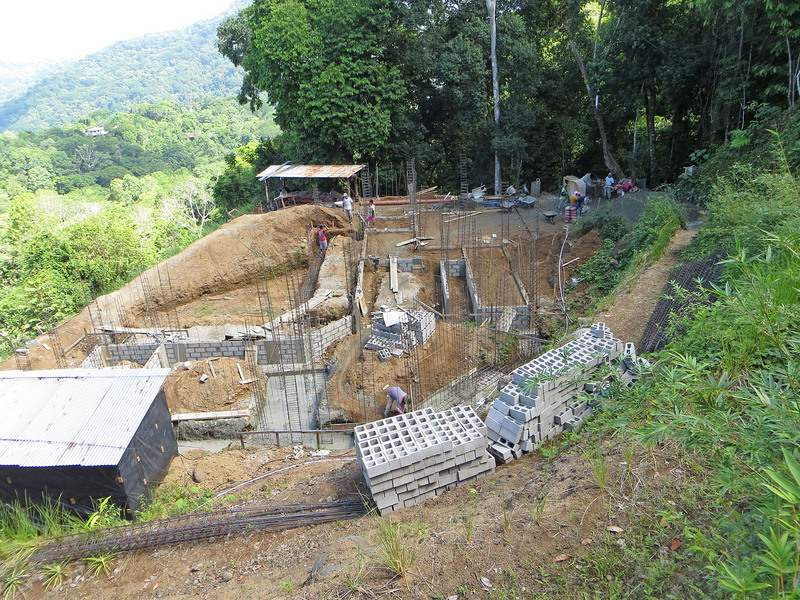 The construction guys are working hard and fast…making some good progress over the past couple of weeks. The weather is cooperating nicely, too. We’ve had mostly sunny days with a few overcast days with a little rain. Typically, this is the time of year where we have a “mini-summer” without much rain. 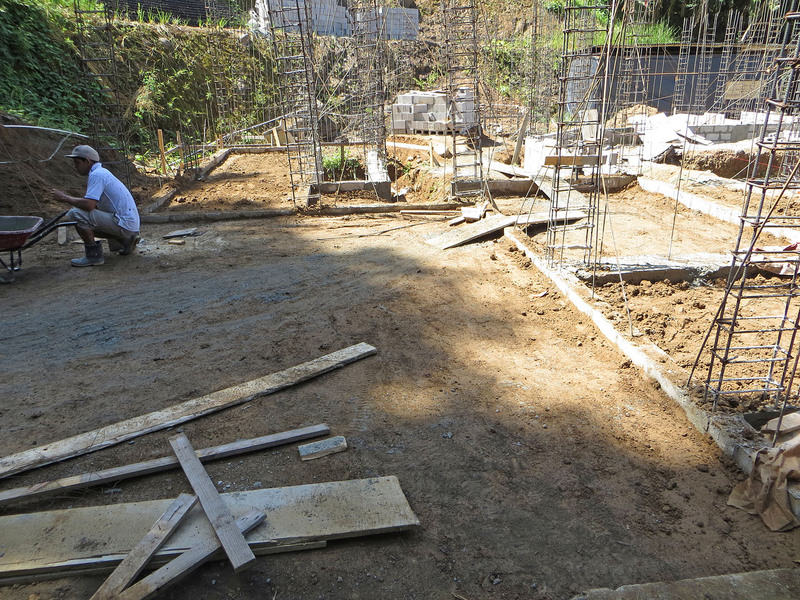 Since the last post about the house, work has continued on the footings and foundation walls. 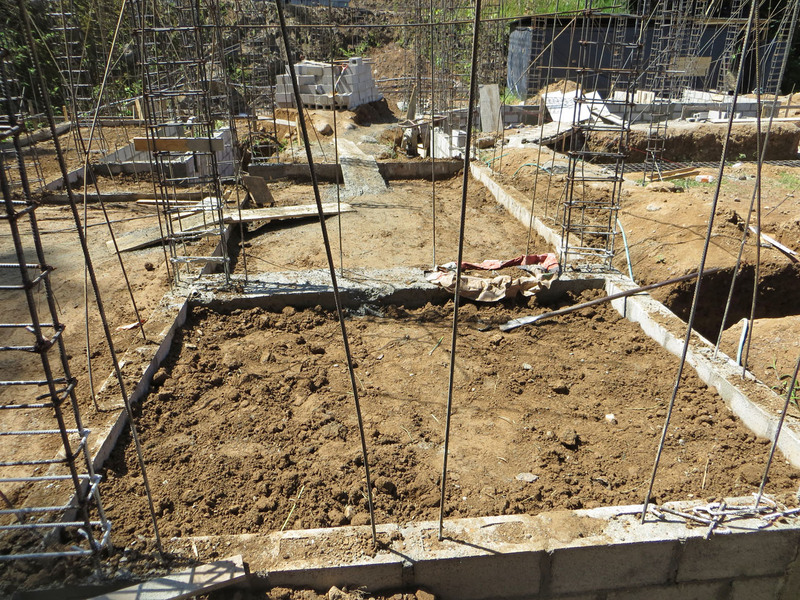 They have started filling in the areas around the foundation with dirt. Soon, most of the completed work will be underground. 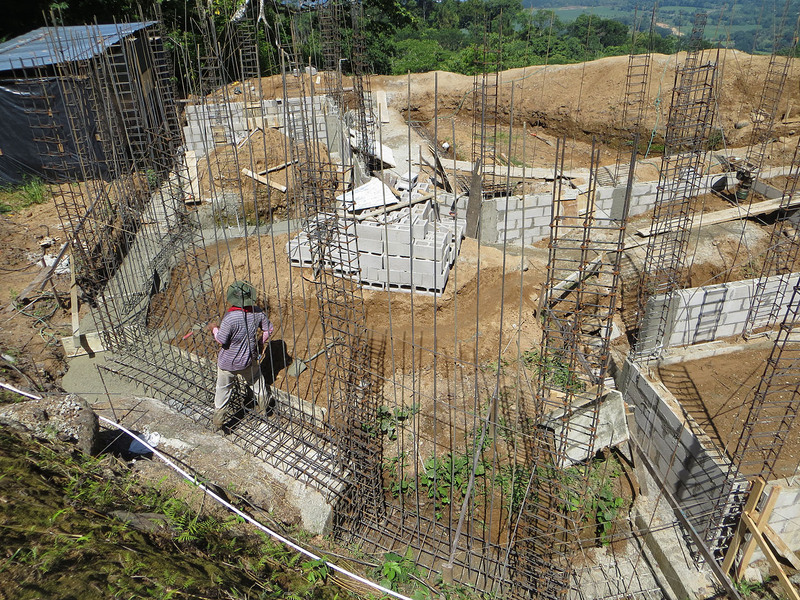 Eddie spent several hours at the building site this morning talking with our builder and the architect who is doing weekly inspections. This is the carport area now completely filled in with dirt with the perimeter foundation walls just protruding out of the soil. This is the laundry room and the bodega behind. 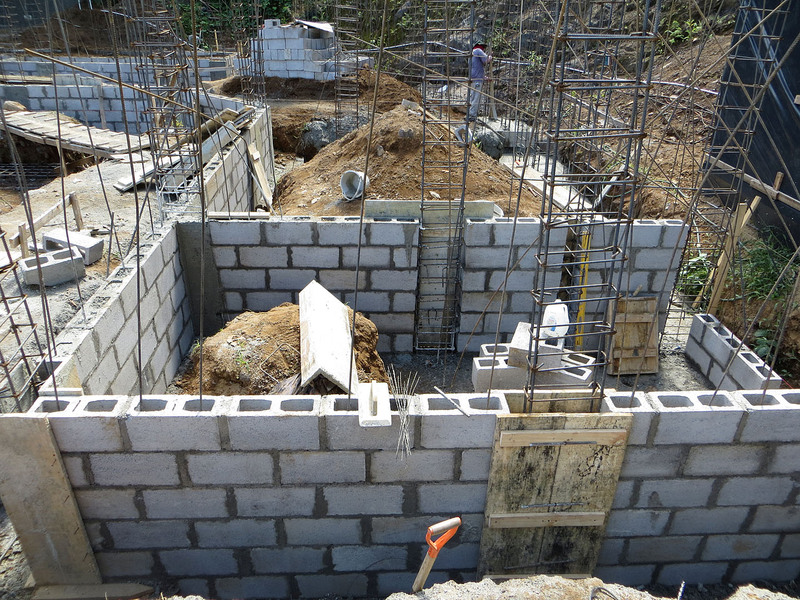 These are the foundation walls of the master bath. 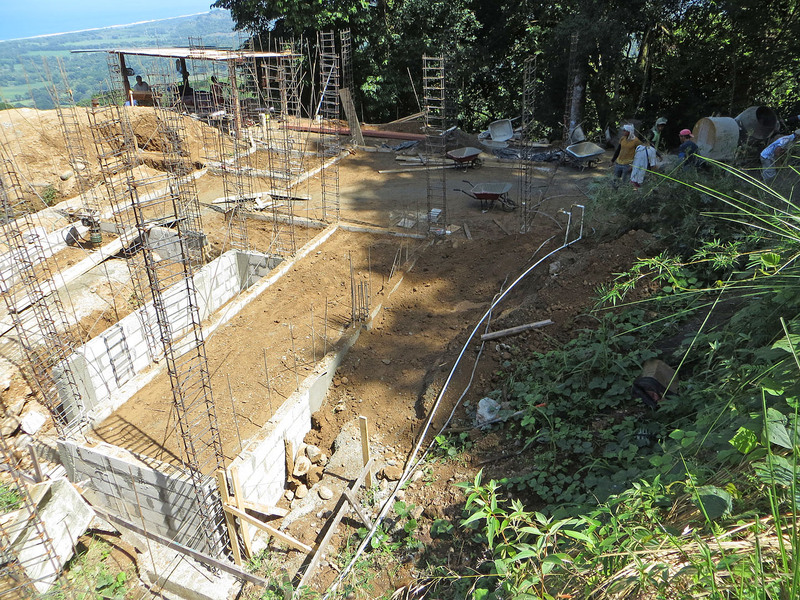 At this section of the house the foundation is about 1.6 meters deep.